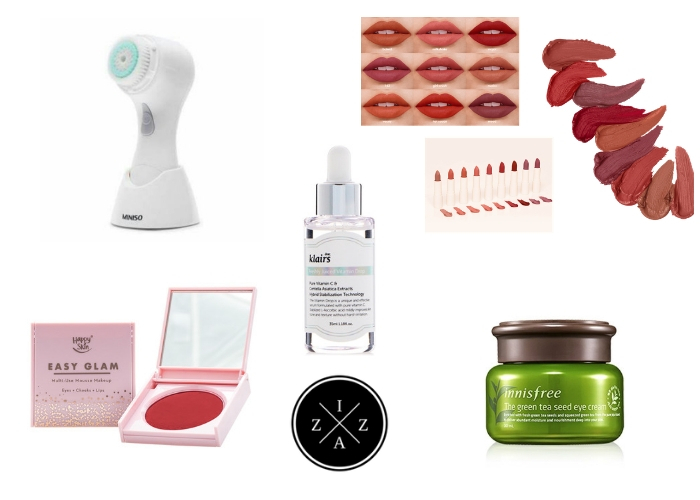 Today I decided to create a get-to-know-me kind of blog post. 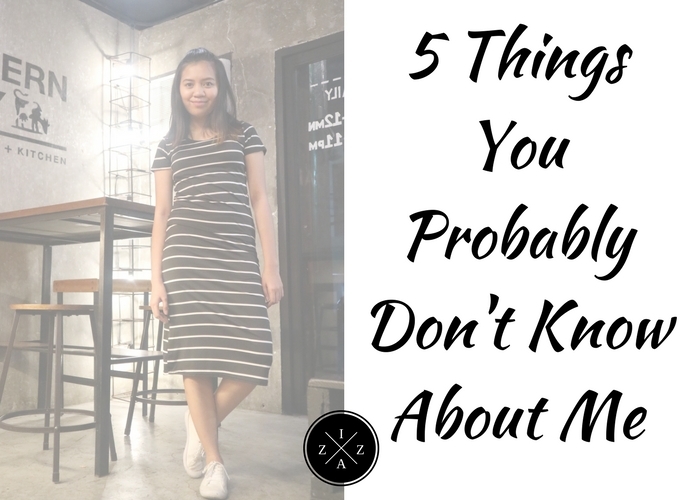 September marks the anniversary of this humble blog of mine and I can’t think of any better post to celebrate than walking you through the 5 Things You Probably Don't Know About Me. 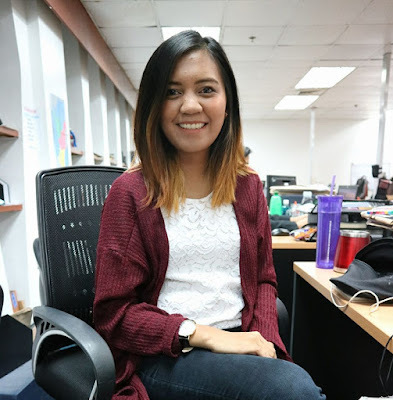 I hope this post gives you a closer look behind Izza Glino, the blogger. This is probably not a very good way to start this post but yes, I'm crazy about true crime podcasts! 2015 was the year I got obsessed with true crime podcasts. It all started with Serial - a true crime podcast that works like a normal Netflix series. It is one story told piece by piece so when you hear the first episode you will certainly listen to the rest of the episodes. The Serial Season 1 was phenomenal! And it absolutely changed the way I see true crime as a genre. After Serial I developed this interest on listening to other true crime podcasts. I also ventured into reading true crime books like Exposed : The Secret Life of Jodi Arias by Jane Velez-Mitchell and The Assassination of Marilyn Monroe by Donald Wolfe. I remember once I saw a book in Powerbook about women who kill. I was about to buy the said book but got a bit nervous what the cashier (unexpected, male) will think of me. Of course there’s no way that obsessing with true crime is turning me into a psychopath or a serial killer. No way! But, I do enjoy getting into details with what happened. I love solving mystery and really knowing who did what and why. Love it! I will create a separate post about the True Crime Podcast I Listen To next time. For the meantime you can check my book review of Gone Girl by Gilian Flynn or The Lovely Bones by Alice Sebold. Both books are fiction but have interesting plot for true crime obsessed like me. I had a long history of allergic reaction due to eating shrimp. The first was in elementary when I had high fever, skin rashes and irritation all over my body. Natawa pa ko sa ginawa ni Mama nun kasi pinausukan niya ko with the shells nung shrimp na ulam namin kagabi. The most recent serious case of my allergy to shrimp happened in 2015, I believe. We had a lunch out at Maxx’s and I ate chopsuey. I don’t remember if I did eat the shrimp but I know it was part of the ingredients. After two days the allergy manifested all over my body. I have rashes and my face got swollen. I was rushed to Makati Medical in the middle of work. Haha. Do you have any allergy too? Did you know I have a workmate before who’s allergic to chocolate! 3. I take a pencil case/pen holder to work - filled with a dozen and more pens! Even now that I am already working, I still bring a pencil case with me. The pencil case even became bigger and heavier compared to my high school and college days! I saw this cute pen holder that can hold a number of pens inside. I love that it is spacious enough since I bring a dozen and more pens to update my bullet journal. I can’t leave the house without bringing my pen holder especially if I have my bullet journal with me. My pencil case and all the pens I bring every single day! 4. Kpop is my jam! If I’m not listening to some true crime podcasts, I am probably banging on some Kpop music. I enjoy listening to songs from some of best and hottest Kpop Idols so much. I even have a public playlist on Spotify called Best of Kpop highlighting the selected songs that turned me into a Kpop fan! Lately I’ve been loving Wanna One! This is a new Kpop Idol from Produce 101 Season 2. Their songs Naya Na (Pick Me), Energetic, Wanna Be, Never, Always and Burn It Up are just too epic not to listen to! I am also loving Nu’est because of Jr or JongHyun - Nation’s leader. Their song Face, Good Bye Bye and Hello are soooooo nice! But of course, BTS is my first love - and the idol I will always return to. Their new song DNA is love! Ko Ko Bop by Exo is also something on repeat for me. Too many good songs to mention actually. I might need a separate post also for this. Below is my Spotify Kpop Playlist, Enjoy! I’ve always worn my wrist watch on the right. Never have I wore it on my non-dominant hand, left, like most people normally do. 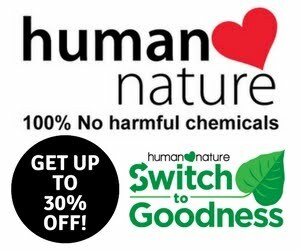 Based on my research the idea behind wearing the watch on the non-dominant hand of person is to prevent it from being damaged. Wearing it on the hand you always use for doing tasks like writing can hurt the watch. During Bloggers United 13 where I hosted I decided to wear my watch on the left wrist because I got a bit awkward. Everyone around me were wearing it on the left. LOL. Couple of people had stopped me before during a conversation just to say that I am wearing my watch on the wrong wrist. Sometimes I feel like people misunderstand me for wearing my watch on right wrist thinking I don’t have any idea how to wear a watch. Another thing about this whole left and right hand, whenever I eat using a spoon I use my right hand but kapag nagkakamay na ako, left always. I feel more comfortable eating with my left hand kapag naka-kamay. Weird. I hope you enjoyed this post. I know it’s only five facts but pretty soon I’ll probably add more. If you can relate to any of the above then please comment down below. I’d love to get to know you more too! 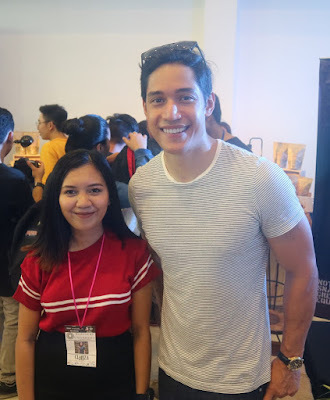 it felt so nice meeting you through your post and knowing about you on a personal level through the 5 things that you mentioned in your blog post.